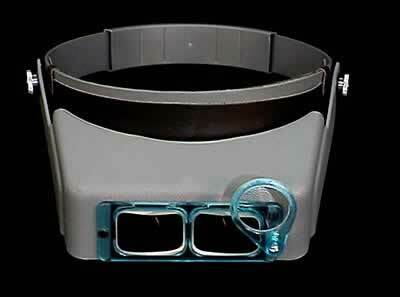 This B&L is by far the most popular 5X loupe around. 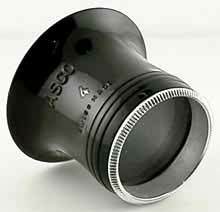 The focal distance of the 5X loupe is 2". 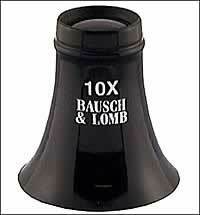 This high quality Bausch and Lomb Loupe delivers a clear, distortion-free image. 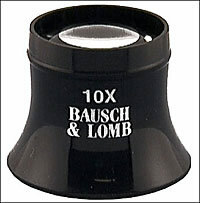 For careful inspection or detail work, 10X is the standard, and Bausch & Lomb is by far the most popular loupe. 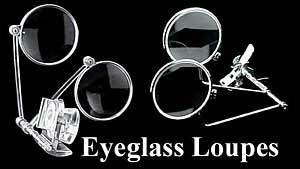 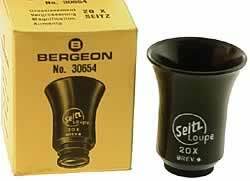 This is a single lens loupe. 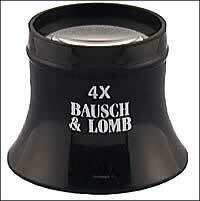 Bausch & Lomb also makes a higher quality, triplet-lens, 10X loupe, the FB-604 shown below. 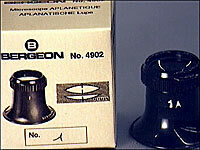 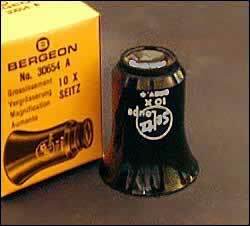 This Bergeon, two-lens, aplanatic, 10X eye loupe, provides excellent resolution, low linear distortion and good color correction. 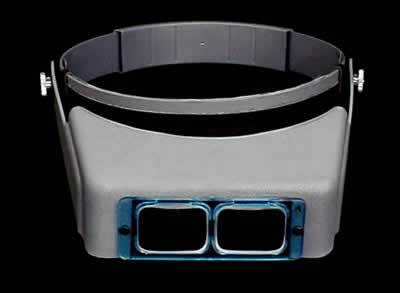 Like the FB-611, but in a 4 power design for a slightly wider field of view.